Niagara Neuropsychology is easily accessible from the QEW. 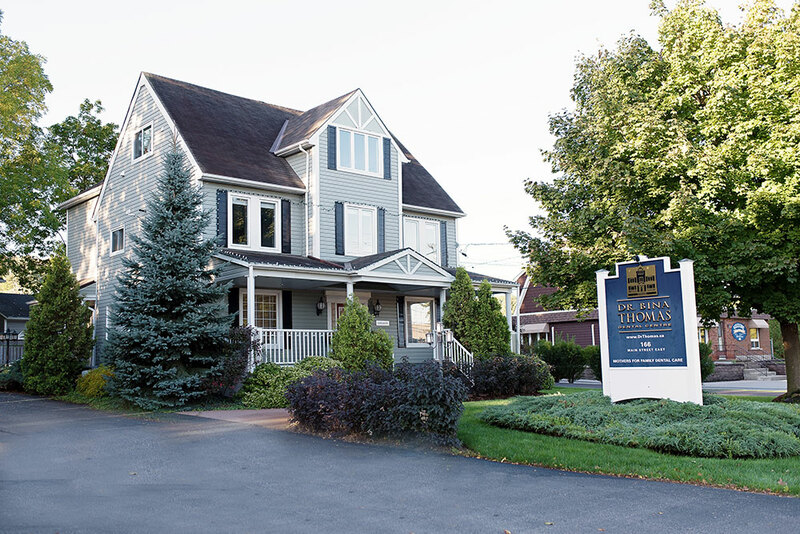 We are located on the 2nd floor (rear entrance, BLUE DOOR) of Dr. Bina Thomas’ dental office at 166 Main Street East in Grimsby, Ontario, directly across from the West Lincoln Memorial Hospital. From Hamilton/Toronto: Take QEW East towards Niagara. Take Christie/Ontario/Maple exit (Exit 71). Turn right (north) onto Christie St (first lights). Turn left onto Main Street (first lights). We are located on the right (south) side on the 2nd floor (rear entrance, BLUE DOOR) of Dr. Bina Thomas’ dental office at 166 Main Street East in Grimsby, Ontario, directly across from the West Lincoln Memorial Hospital. From St. Catharines/Welland/Niagara Falls: Take QEW West towards Toronto. Take Bartlett Avenue exit (exit 68). Turn left (south) onto Bartlett Avenue (first lights). Turn right onto Main Street (first lights). We are located on the left (south) side on the 2nd floor (rear entrance, BLUE DOOR) of Dr. Bina Thomas’ dental office at 166 Main Street East in Grimsby, Ontario, directly across from the West Lincoln Memorial Hospital. Phone: 289-235-8848 · Email: niagaraneuropsychology@gmail.com · Copyright © 2016 · Niagara Neuropsychology · All rights reserved.